USEF offers you a fantastic opportunity to meet with Admissions Officers from THREE U.S. colleges and universities! 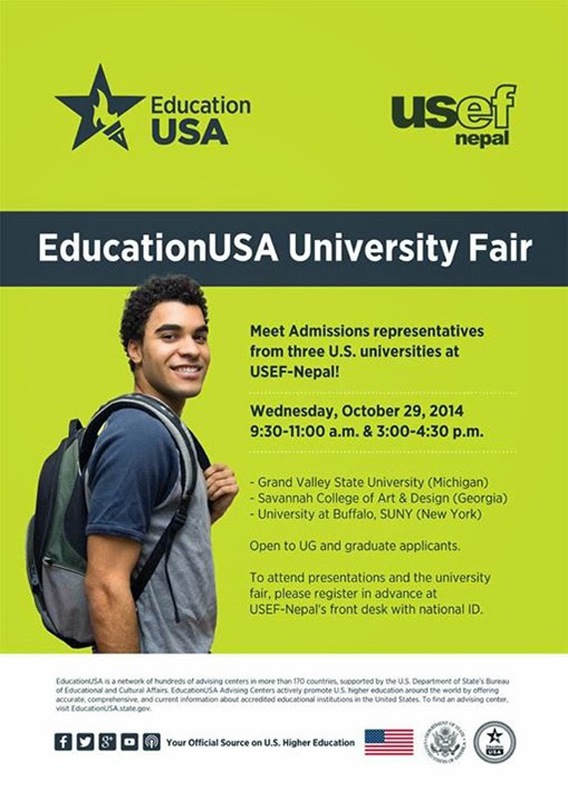 Attend the EducationUSA University Fair at USEF-Nepal, Gyaneswor on Wednesday, October 29, 2014. Program: Half an hour of presentations by university representatives followed by a one-hour university fair. Please report on the event day 20 minutes early for check-in with your admission ticket and national ID. If you have any questions, please call USEF-Nepal at 4414-498. Thanks!